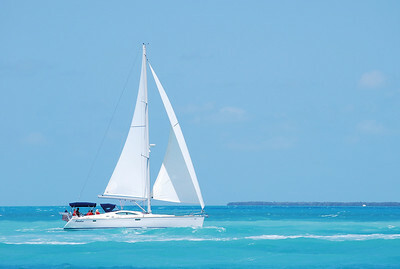 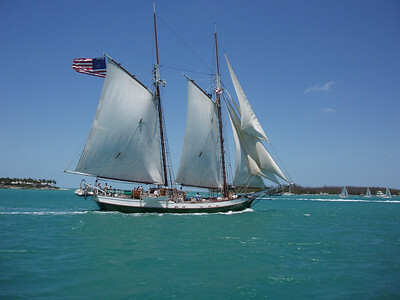 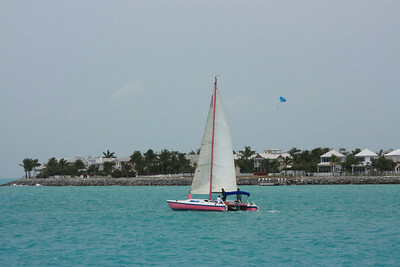 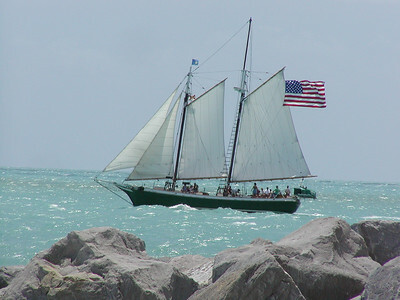 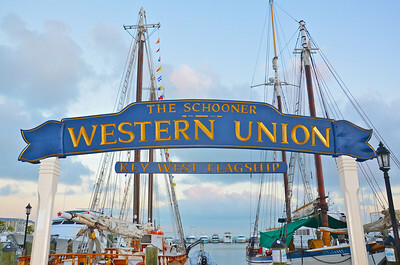 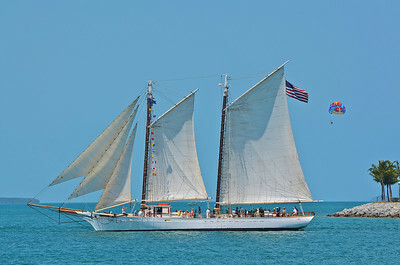 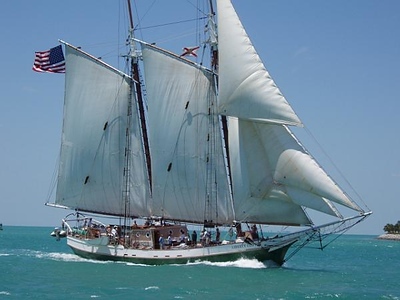 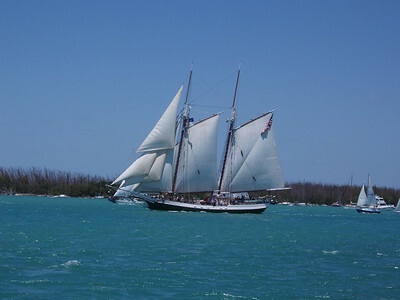 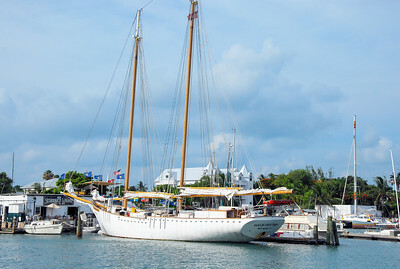 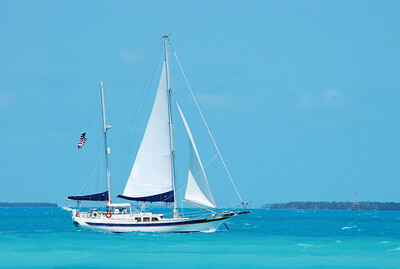 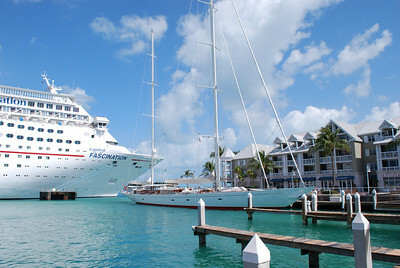 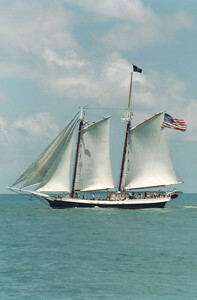 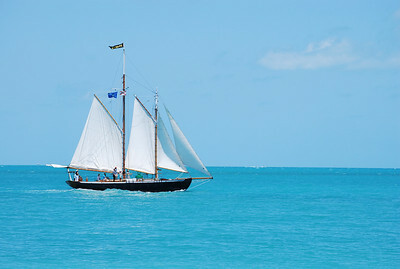 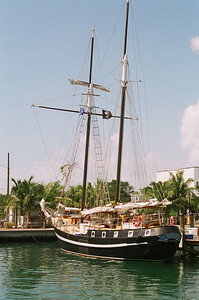 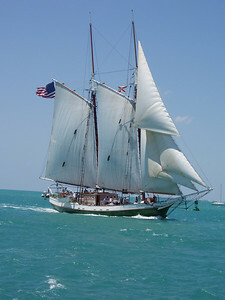 The deep water ports of Key West and constant ocean breezes provide excellent conditions for sailing ships of all sizes. 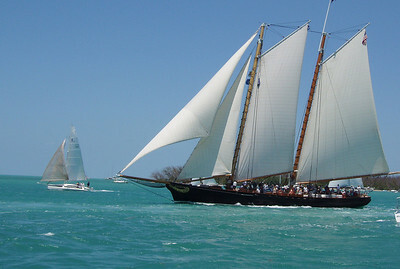 From recreational boaters to large sailing yachts and schooners to sleek ocean racers, the Key West waters are sought after by sailors around the world. 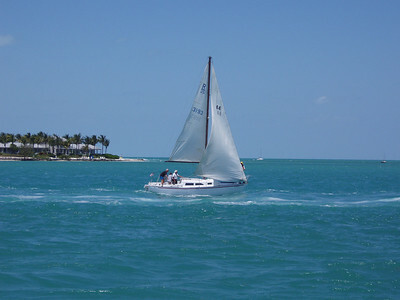 Saturday sailboat ride off Key West. 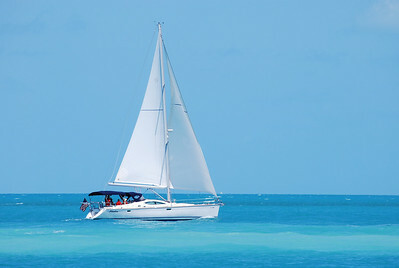 Nice day for a sailboat trip. 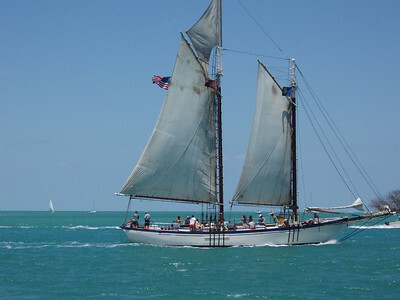 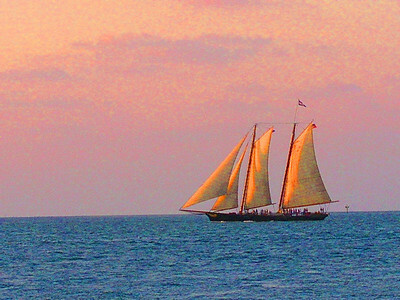 Sailboat rides in Key West. 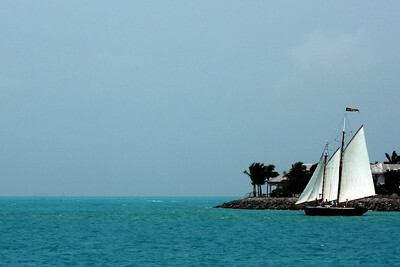 Rounding the point in Key West. 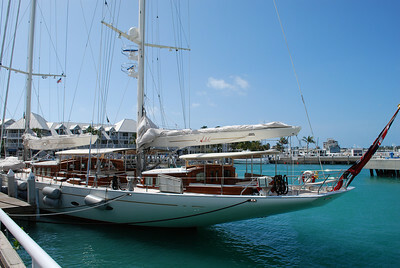 The Adele sailing yacht is 180 feet with a 203 foot main mast and accommodates twelve.